Russia's state owned nuclear energy organization, Rosatom, of Uranium One celebrity, has been trying to develop nuclear cooperation with most of the Middle East countries. Russia would undertake building and operating the nuclear power plants – then start influencing the foreign policy decisions of the country supposedly to "protect" the nuclear power plants from terrorists, and from there to project military influence in the region as it has done in Syria. Russia has already strengthened its defense and military cooperation with Iran and Turkey. Middle Eastern countries seem as eager to partner with a great power such as Russia as Russia does to partner with them. That way, "everyone" in the region could enjoy greater influence, militarily and otherwise. Russia has been trying to relieve itself of the economic slowdown it has faced ever since the West imposed sanctions on it for invading the Ukraine. To that end, Russia's state owned nuclear energy organization, Rosatom, of Uranium One stardom, has been attempting to develop nuclear cooperation with most of the countries in the Middle East. 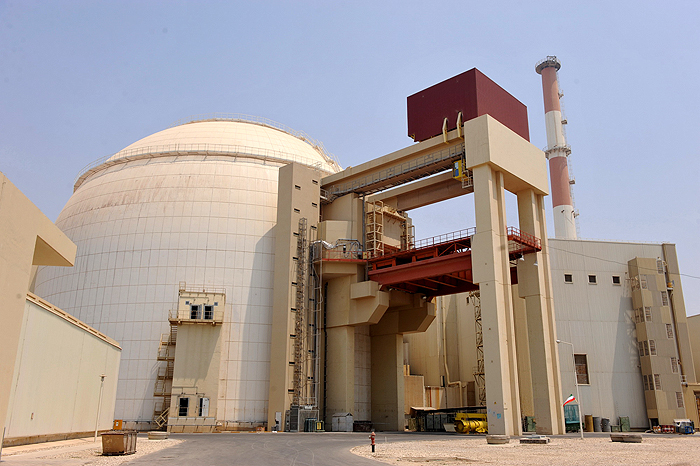 Russia apparently considers the Middle East and North Africa two of the most lucrative markets; countries in the Middle East have already expressed interest in building 90 nuclear power plants at twenty-six sites across the region by 2030. The Russian government has strongly supported the success of a company globally. Rosatom, for instance, already opened a regional office in Dubai, even though the United Arab Emirates does not have nuclear cooperation with Russia and cooperates with South Korea instead. Russia, active during the "Iran deal" negotiations as a mediator between the E3 (Britain, Germany, France) with the United States on one side and Iran on the other, was one of the countries to gain from the Iranian nuclear deal – as was Rosatom. Russia, in 2015, signed nuclear cooperation agreements with both Iran and Jordan. One the strategies Rosatom developed was the Build Own Operate (BOO) plan. Under it, Russia would undertake building and operating the nuclear power plants – then start influencing the foreign policy decisions of the country supposedly to "protect" the nuclear power plants from supposed terrorists, and from there to project military influence in the region as it has done in Syria, with its naval base at Tartus and its air base at Latakia. Russia has already strengthened its defense and military cooperation with Iran and Turkey. Rosatom has also signed nuclear cooperation agreements with Turkey and Saudi Arabia, and could also potentially play a significant role in the Gulf Cooperating Countries (GCC) Countries. Bahrain has already expressed desire for nuclear energy; Rosatom is certainly an option. Middle East countries all require inexpensive electricity; Russia would undoubtedly be happy to supply -- among other ventures -- nuclear power plants. Rosatom will most likely face competition from other big players in the region such as China and South Korea, which are also trying to gain a foothold in the Middle East's nuclear energy market. South Korea has been working on enhancing nuclear cooperation with Jordan; the UAE has four South Korean nuclear power plants under construction. South Korea's conglomerate, Korean Electric Power Corporation (KEPCO), however, is apparently facing debt problems , a possible advantage for Rosatom. In addition, South Korea's new President Moon Jae-in evidently opposes nuclear energy and has ordered nuclear energy phased out. If South Korea walks out of the nuclear energy market in Middle East, that would give Rosatom one less competitor to deal with. Meanwhile, more openings have appeared for Russia as Westinghouse Electric Co., once a subsidiary of Toshiba, has gone bankrupt, while the SA Areva of France is coping to recover from stagnation. At the moment, the only serious major threat to Rosatom would be China. Russia, however, seems to be finding it easy to maneuver itself in the Middle East to establish a nuclear -- and diplomatic -- monopoly in the region. It has been providing lucrative offers to the Middle Eastern countries including financial packages for the nuclear deal. This means that Russia pre-financed the nuclear cooperation by providing loans that will later be paid off by the countries to which the loan has been provided. Russia has also been ensuring nuclear safety and waste management for the countries with which it is involved and sometimes even reprocesses spent fuel, as with Iran. How much of this did American taxpayers pay for under Hillary and Obama?